So your little ones on a big tour can remain dry. Allows your child to turn, move forward, and bend down easily – always ready! Hood is designed such that the child’s helmet fits under. 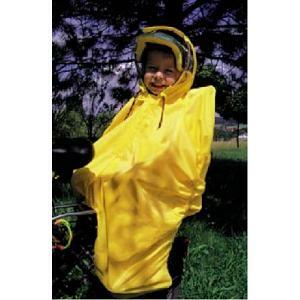 In "rainbow" the child can keep his/her hands within the rain cape, thus keeping hands warm and dry. Like most of Hock technology, the seams are twice sewed and welded together to give added waterproof protection.